Rock lines discovered in Peru predate the famous Nazca lines by over 300 years, a new study concludes. However, the purpose of these lines was very different – to direct people to big trading sites and fairs. 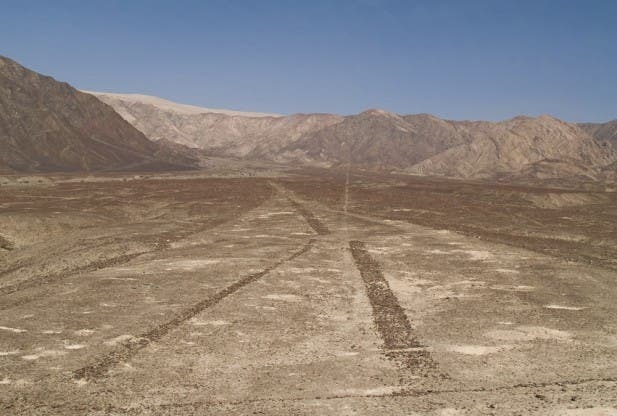 The Paracas people built lines centuries before the Nazca people, but for a different purpose. Via Proceedings of National Academy of Science. 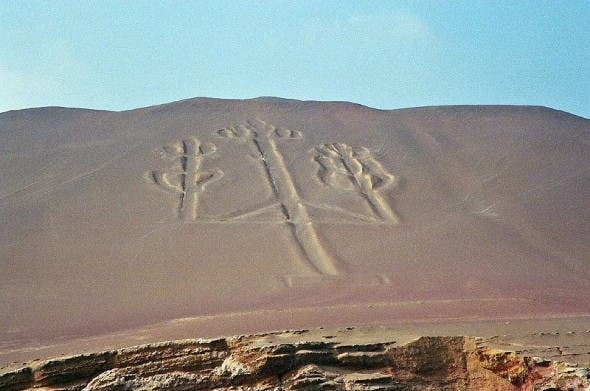 The lines were developed by the Paracas culture, which inhabited the Andes area around 800 B.C. – 100 B.C. The Nazca culture emerged shortly after their downfall, leaving behind the wonderful and huge geoglyphs, shaped like animals. However, there are few similarities between the two cultures, as researchers explain. The main purpose of this study was to figure out why these structures were placed in the middle of nowhere. Researchers found 71 rock lines, 353 rock cairns, rocks placed in rectangles or circles in a 15-square-mile area more than 12 miles from the coast of Chincha Valley in southern Peru. After some excavations and a careful mapping of the environment, they found that the lines pointed to five different ceremonial mounds, with some marking the winter solstice in June, that is most likely festival time, Stanish believes. In these locations, archaeologists found a significant stash of pottery dating back to 2300 B.C., indicating that these places were a hot spot for business – probably the equivalent of European medieval fairs. But were they really necessary from a geographical point of view? Did people actually not know where the fairs took place? The probable answer is ‘no’, their purpose was rather cultural. “I don’t think people needed the signposts, but it was more kind of a ritualized thing, where you come down and everything’s prepared,” he said. “The lines are effectively a social technology,” Stanish said. “They’re using it for certain purposes. Some people have said the lines point out sacred mountains. Sure, why not? The lines [might] point out sacred pyramids. Why not? The lines could [also] be used to point out processions,” Stanish said of both the Nazca and Peru lines.